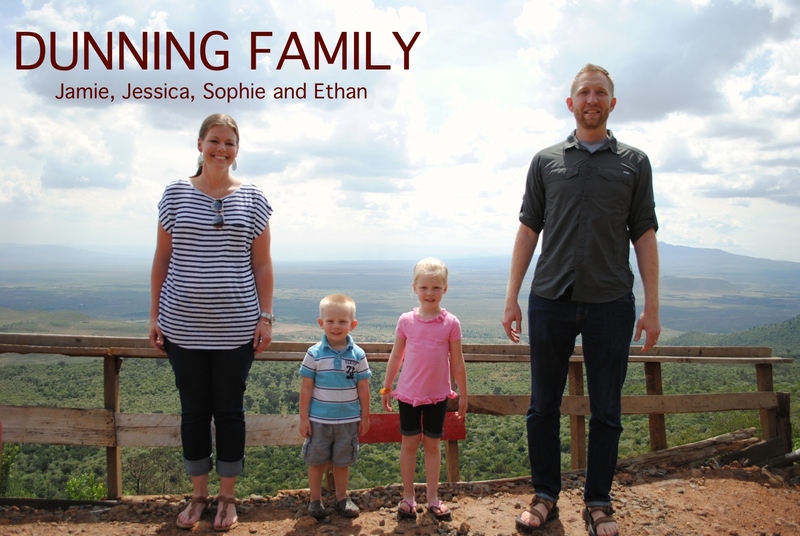 This is our first newsletter since arriving in Kenya a little over a month ago! We have spent the last several weeks trying to reacclimatize to life here, attempting to get settled, and beginning to ease into our work. So how is all of that going? Well, It has been amazing to be back and, in some ways, it feels like we never left, but at the same time we are still very unsettled. For example, we are currently homeless. Fortunately, we have been staying with Mrs. Gaylia List, and she makes “homelessness” as comfortable as it could possibly be. Originally, we were only going to stay with her for a few days, but she graciously has allowed us to stay on while we look for a permanent residence….and let us tell you, that can be an adventure over here! We already have some stories that I am sure we will laugh about one day. For the moment, we are currently all living in a bedroom together….luckily we love each other. The good news is that we think that we may have found a house that we will hopefully be able to move into within the next few weeks! We have made some progress in purchasing a vehicle. We were able to get a much nicer vehicle than we had planned for a much lower cost that we had expected, so we felt blessed by that. We purchased a 2004 Land Rover Discovery that is in great condition, with relatively low miles, from a UN worker that was leaving the country. It is a 4WD vehicle that will be able to reliably get us anywhere in East Africa that we will need to go. Unfortunately, since it was owned by UN, there has been a lot of extra paperwork, bureaucratic hoops, and appointments downtown, but we are almost finished with all of that excitement. We should be able to actually drive the car within the next week or so. Even with all of the waiting, we have been fortunate to have access to a vehicle that belongs to the mission in the meantime. In regards to our work, we have been so excited to get into the People to People office and to visit a couple of our projects. We have started the busy “update season” of getting updates on all of the People to People sponsored children in Kenya. It’s a big job, but we have modified and updated the process, so we are very excited about the types of correspondence Child Sponsors will be receiving this year! We have visited a couple of the feeding programs, Hosanna Children’s Home and Christian Ministries to the Destitute. We were welcomed “home” by both in amazing ways. Hosanna celebrated our homecoming with a party, complete with cake, music, and decorations. At CMD we were able to have a nice lunch with the Directors, Bishop and Sister Wekesa. We are very excited about continuing our partnership with these amazing ministries, and we are currently working with both on some sustainable income generating projects for these ministries (more below!). The future is bright! We found out that we will also be overseeing the growth of the People to People work in Ethiopia. This work will take some time to establish, but we have some very exciting ideas for the vision of PTP Ethiopia….more on this in the months to come! We have been getting settled into our home church, Calvary Worship Center. Jamie has had a couple of opportunities to speak there (Palm Sunday service and to the Men’s Fellowship), and Jessica hopes to get involved with the worship team when she is able. This past week Jamie had the opportunity to teach a few sessions at a conference at Emmanuel Worship Center in Kanja. Kanja is a village on the eastern slopes of Mt. Kenya that happens to be one of our favorite and (in our opinion) one of the most beautiful places in Kenya. It is in the middle of tea and coffee country, so the area is surrounded by rolling green hills, rushing rivers and waterfalls, and lush forests. When visiting this area, we always stay with Bishop Ayub, his wife Lucy, and their incredible kids. We visited them for the first time 8 yrs. ago and we have always looked forward to opportunities to return. The conference was for 60 pastors from the Eastern Conference in Kenya, and Jamie accompanied missionaries, Ron Wooten and Michael McRae, as teachers. We also had the chance to speak (Jamie) and sing (Jessica) at Satellite Church, the church of our good friends Pastor Tobias and Judy, this Sunday. It’s been busy, but we are so thankful that we have been able to get back involved rather quickly. We are excited to announce our first sustainable development project! We will be assisting Hosanna Children’s Home, one of our People to People feeding programs, with a Tilapia Fish Pond. Hosanna is an amazing ministry that provides a safe and secure home for 51 orphaned children. They provide holistic care, meeting the physical, emotional, and spiritual needs of the children. This fish pond will provide support for Hosanna in a variety of ways. It will, first of all, provide a sustainable income source that will assist the orphanage in meeting the many costs of feeding and housing the children. It will also provide an additional source of healthy protein that can supplement the feeding program. With the Directors of Hosanna. The beginning stages of the fish pond. I thank my God every time I remember you. In all of my prayers for all of you. I always pray with joy because of your partnership in the gospel from the first day until now, being confident of this, that he who began a good work in you will carry it on to completion, until the day of Christ Jesus. You can make a donation or become monthly supporter by clicking here. Information for mailing checks can be found in the “Ways to Help” link..